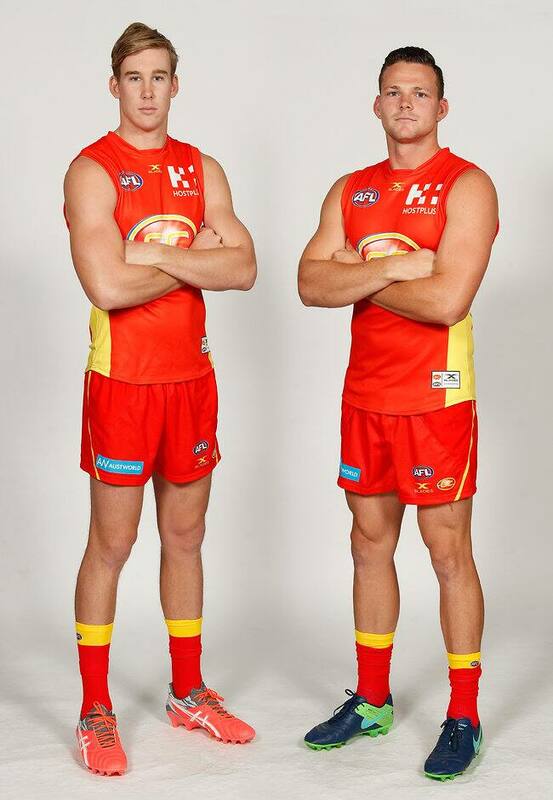 TOM Lynch and Steven May will again co-captain Gold Coast in 2018. The pair led the Suns for the first time last season and were again voted in by their teammates and football department before being ratified by the club's board. Ruckman Jarrod Witts and midfielder Pearce Hanley have been added to a leadership group that again contains David Swallow, Matt Rosa, Michael Barlow and Touk Miller. Michael Rischitelli has stepped aside from the role. As AFL.com.au revealed last month, Lynch was expected to retain the co-captaincy with May. Coach Stuart Dew said he had been impressed by the duo since he arrived at the club in October. "Both Tom and Steven have been extremely invested in the program since my arrival," Dew said. "The eight-man leadership group will work closely with myself and the entire football department to ensure we can create an environment that is aligned to our values and provides the best possible opportunity for growth both on and off the field." Lynch will be the focus of much scrutiny this season, with the power forward set to become a restricted free agent. The 25-year-old has indicated he is in no rush to make a decision on his future. Lynch and May took over the captaincy from inaugural skipper Gary Ablett prior to last season and endured a year that ultimately led to the sacking of coach Rodney Eade among a host of football department changes. In the midst of the difficulties, May extended his contract to remain at the club until at least the end of 2019.